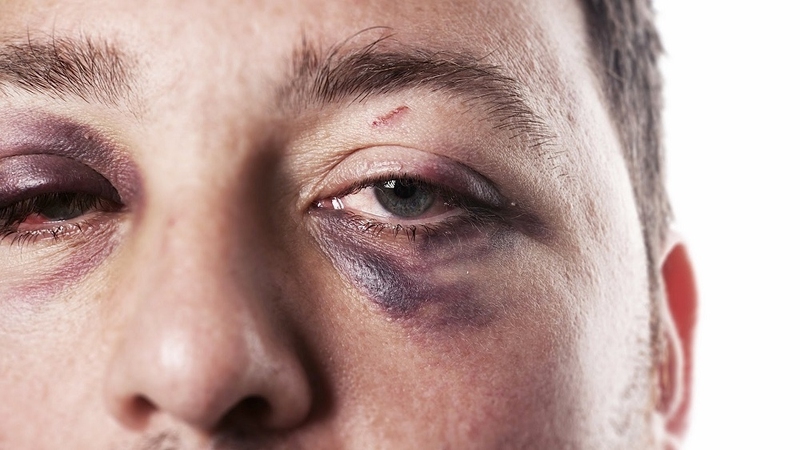 A black eye, also known as a “shiner”, normally occurs as a result of accumulation of fluids around the surrounding tissues after an injury close to the eye. In other words, a black eye is just a bruise that occurs after blood vessels are broken on the surface that surrounds the eye. Like most bruises, once the area around the eye is injured, it will lead to swelling. The main cause of a black eye is a non-penetrating trauma. And in this article, you will learn more about the black eye and ways to get rid of it. Immediately you get a black eye, the first course of action would be getting an icepack for the injury. Wrap a few ice cubes in a muslin cloth or a cotton one. Hold the pack over the injured eye for at least ten minutes. During the first 2 days after the injury, repeat this procedure a few times in a day. Ice cubes will help reduce the swelling and also prevent internal bleeding from occurring. This is also a great way to get rid of the pain. A packet of frozen vegetables can also be used in the place of an ice pack. A day or two after the injury, you will need to use a hot compress over the injured part. This increases the blood flow around the eye tissues and speeds up the healing process. Simply take a cloth and dip it in warm water, drain off excess water and place the cloth on the affected areas. You need to repeat this a few times a day. If you’re not in too much pain, try massaging the area with the warm compress as this improves the blood flow around that area. When you have a black eye, it is advisable to increase your intake of vitamin C. This vitamin is important for speedy recovery of wounds. You can get vitamin C from foods such as limes, lemons, broccoli, bell peppers, gooseberries, oranges and mangoes. Vitamin C helps in thickening the blood vessels' walls around your eye, which speeds up healing. This is one vital tip on how to get rid of a black eye. Also known as calendula, marigold can be used for its anti-inflammatory benefits. Use it to reduce swelling around the eye and speed up recovery of the bruises. Place a handful of marigold petals into hot water – about a cup will be enough. Allow this to sit for ten minutes and then refrigerate for half an hour. Take a clean wash cloth and soak it in the mixture. Then place it on your black eye for five minutes. Repeat this process several times during the day. This is an herb well known for its anti-inflammatory benefits. With Arnica, you get to heal the muscles around your eye as well as any damaged tissues. It is advisable to use Arnica as soon as the injury occurs to prevent the bruise from worsening. You can get it in the form of an ointment or cream. It is also available in oil form. Apply it on the affected area at least twice each day. This is a plant that is known to soothe and aid in healing of black eye. It has long been used as a type of traditional herb by American Indians. This herb is ideal for curing sores, swelling as well as bruises. Add ten drops of the hazel extract to 100ml of water. Soak a cotton pad in the mixture and drain off excess solution. Apply the cotton pad to your black eye and leave it to sit for at least five minutes. Wash off the solution and repeat at least twice a day. Wondering how to get rid of a black eye? You should try a natural oil massage. When you massage the area around your eye, you improve blood flow and the appearance of the skin. You can use olive oil, coconut oil, vitamin E oil or tea tree oil. Just apply a little bit of the oil onto the affected area and massage into the affected area. Avoid exerting too much pressure. Eggs are not just good for eating. They have been used for ages for treating injuries. They are great for treating a black eye and can help get rid of the blue/black discoloration. Simply take an egg and boil it. Allow it to harden and remove it from the hot water. Roll the egg around the injured area. Boil the egg again once it cools down and again roll it over the eye. Repeat this process until the egg darkens. As you learn how to get rid of a black eye, note that it will take at least a week or two before your black eye completely heals. During this time, it is advisable to wear sunglasses or protective gear if you know you will come across situations that can cause harm to your eye. Avoid taking part in any sports until your eye has healed completely. When you get a black eye, you should make a point of seeing your doctor. This medical checkup will look for any serious injuries to the eye if any. Check for any blood clots in the eye’s white area as this is an indication of a serious injury. If you experience blurry vision, increased light sensitivity or double vision, seek medical advice. Other signs include face numbness, severe headache, eye depression, dizziness or nosebleed. After a week, the black eye should have faded. If you notice that it is still there after a week, you need to see a doctor. Note that a black eye will worsen in appearance as it heals. There should be no cause for alarm.